Over the years, many things have changed, but one thing has not – our dedication to providing our customers with quality EZE Breeze, glass and screen enclosures and a beautiful line of replacement windows and doors. Unlike other home improvement companies that come and go, have a limited inventory to select from, and are very undependable, Architectural Glass has been the leader in sunroom, screen room, EZE Breeze, and replacement window design and construction with hundreds of satisfied customers. Our sunroom designs can range from just a few thousand dollars for a porch enclosure or EZE Breeze room, upwards to one hundred thousand for a complete remodel and solarium addition. Some of the rooms we design and build are used for dining room extensions, formal living spaces, pool enclosures, greenhouses and porch enclosures to name a few. We also offer a full line of screened enclosures as well as EZE Breeze rooms and vinyl replacement windows and doors. Architectural Glass offers standard products from a variety of manufacturers, as well as fabricating our own custom designs. Most of our competition have just one product line from which to choose. This is a disadvantage to you by limiting your design choices as well as paying a higher price for your products. 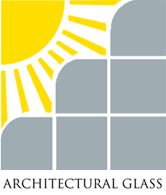 Architectural Glass was the first company to offer glass enclosure products in Upstate South Carolina in the early 80’s. Our company has prospered over the years and remains the leader in design, installation and service. We have hundreds of satisfied customers throughout South Carolina’s Upstate, Low Country, and Midlands areas, as well as the larger Southeast region, including North Carolina and Georgia. Since our company is family owned & operated by Phil and Ryan Pfister, we are able to provide you with personal service that is unequaled and nonexistent from our competitors. We provide free consultations and design services, professional installations and backed by the best warranties. We are licensed, bonded and insured with a spotless track record and hundreds of referrals. Where else can you get the highest quality products at the most competitive price? We would like to personally thank you for your time and consideration. Your total satisfaction is our goal. You have our word on it.